Downtown Barcelona, in the Poble Sec neighborhood. We are just across the street where you’ll find yourself in the heart of Barcelona’s old city center. To give you an idea of how close we are, it will take you five minutes to walk to Las Ramblas. You’ll be ideally positioned to explore some of the most exciting and entertaining areas of the city. The hostel is also very close Drassanes and the harbor, and it’s convenient to get to the beach. The section of the old city closest to the hostel is the Raval, a fashionable area known for its artistic scene that’s home to some of the best art museums in the city, including the MACBA and CCCB contemporary art museums. A few minutes’ walk beyond the Raval takes you to the Gothic Quarter, full of picturesque corners and ancient buildings. Don’t miss out on the chance to explore our hostel’s home district either. Poble Sec is a small district tucked up against Montjuïc hillside that’s home to a thriving tapas bar scene. Although you’ll find lots of very cool new bars and restaurants here, the district still maintains its traditional feeling. 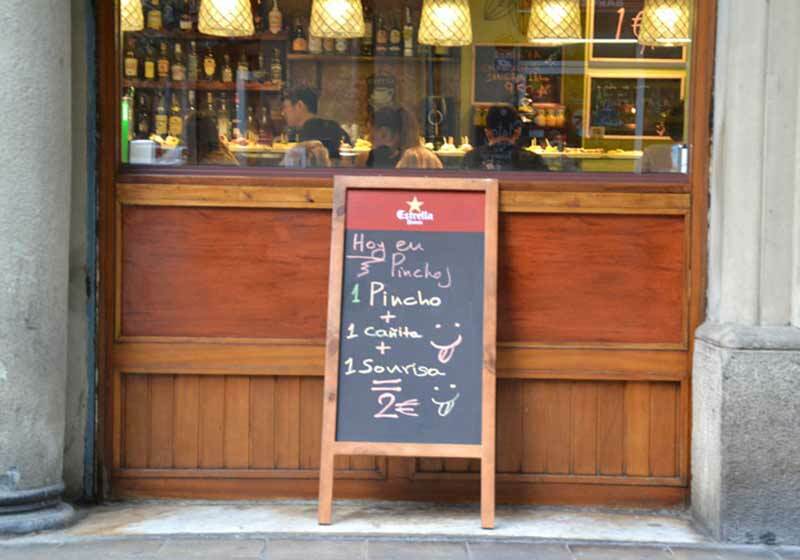 Go out for a night of tapas on Carrer Blai, followed with a few drinks at any of the nearby bars, and finish up dancing until dawn in Apolo nightclub to see why locals love this area. Although you’ll be able to get to lots of the city’s major sights by walking, you can also access public transportation very easily. We recommend using the metro, which is fast and easy to navigate. It will take you just about anywhere you want to go in Barcelona. In a few minutes from the door of Pars Teatro Hostel, you can be at Drassanes (L3/green line) metro stop. Consider purchasing a T10 card, which gives you 10 trips on Barcelona’s public transportation system. You can buy a T10 at the ticket machines at any metro entrance. How to get to Teatro Hostel? Take the Aerobus A1 or A2 to Plaza España, then take the Metro L3 (green line) towards Trinitat Nova until Paral.lel station the (second stop). Exit at Avenida Paral-lel. Smile you are in Barcelona and it’s probably sunny just in the front of Apolo theater that will be on your right side. Go straight on toward to the port around 3 blocks and when you reach to petrol station, turn right then first street named Albareda take a left walk until 12. The door is exclusively for the property. We suggest you to have a print of the map showed in the site. Take the metro L3 (green line) up to the station Paral.lel and continue as mentioned above. Exit at Avenida Paral.lel. Smile you are in Barcelona and it’s probably sunny. Just in the front of Apolo theater that will be on your right side. Go straight on toward to the port around 3 blocks and when you reach to petrol station, turn right then first street named Albareda take a left walk until 12. The door is exclusively for the property. We suggest you to have a print of the map showed in the site. Here you can find the Google Maps with more details on the metro. Take the metro in Arc de triumph line <L1> to stop plaza Catalunya. Over there you need to change lines to <L3> green line. Take the green line up to Paralel Metro Station. Exit at Avenida Paral.lel. Smile you are in Barcelona and it’s probably sunny. Just in the front of Apolo theater that will be on your right side. Go straight on toward to the port around 3 blocks and when you reach to petrol station, turn right then first street named Albareda take a left walk until 12. The door is exclusively for the property. We suggest you to have a print of the map showed in the site. Look after your belongings everywhere specially in the metro and train station, as unfortunately Barcelona is a paradise for pickpockets.